Here at Rite Rate, we are a licensed expert plumbing, air conditioning, and heating company in Hewitt, NJ. All our services are affordable and guarantee 100% customer satisfaction. We have been in the business for quite some time and are experienced with plumbing, air conditioning, and heating repair, replacement, and installation. Our 24-hour repair services are what sets us apart from the rest makes us the best plumbing, heating, and air conditioning company in Hewitt, NJ. 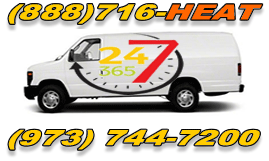 When it comes to your residential or commercial heating system breaking down, you need affordable 24/7 heating repair in Hewitt, NJ. Our team of experts will get to you quickly and get your heating unit up and be running in no time. We will fix and replace the faulty parts of your heating unit with the utmost professionalism. Here at Rite Rate, we offer boiler repair, furnace replacement, water heater repair, and thermostat installation just to mention a few. We are a heating company in Hewitt, NJ that you can trust to handle all your heating repairs, installations, and replacements! The main reason we are the best air conditioning company in Hewitt, NJ is due to our capabilities of providing 24/7 repairs, and affordable air conditioning installations. All our clients trust us when it comes to the installation, repair, and replacement of their residential or commercial air conditioners. We will provide you with a fixed price quote before starting any work in order to help you estimate your budget. Here at Rite Rate, we also install toilets, sinks, showers, drains, as well as any pipes. Our team of plumbers will unclog blocked pipes and fix broken sewer lines quickly and efficiently. Through our video camera pipe inspection techniques, we will be able to identify what's causing blockages and take the necessary action in solving the issue. Our plumbing services include repair, replacement, installation, and maintenance. Don’t hesitate to call Rite Rate if you need an air conditioner installation, pipe replacement, or heating repair in Hewitt, NJ! Once you call us, we promise to offer nothing but the best. For a reliable plumbing, heating, and air conditioning company in Hewitt, NJ, contact Rite Rate! Leave the repairs, installations, and replacements to us while you sit back and enjoy life!